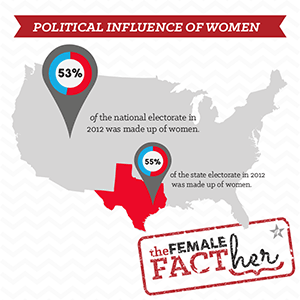 In 2012 women made up 53% of the national electorate and 67% of all women were registered to vote. In Texas, we’re competitive and it shows. 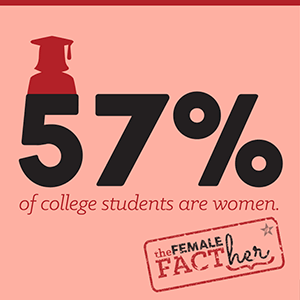 Texas women out-perform our female friends nationally. Republican leadership knows the female factor is essential to running a successful state. 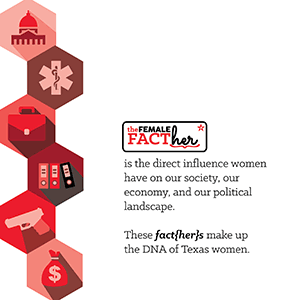 Strong Texas women hold many of the state’s top appointed positions as heads of agencies and judicial posts.